A quick recipe that will satisfy your taste buds and fill your stomach up with love. I love making this recipe on busy days, I can just put the potatoes in the oven and then get back to work/errands. You don't have to toast the chickpeas, but it adds a nice crunch. Feel free to get creative with this recipe and let me know what kind of creations you come up with! 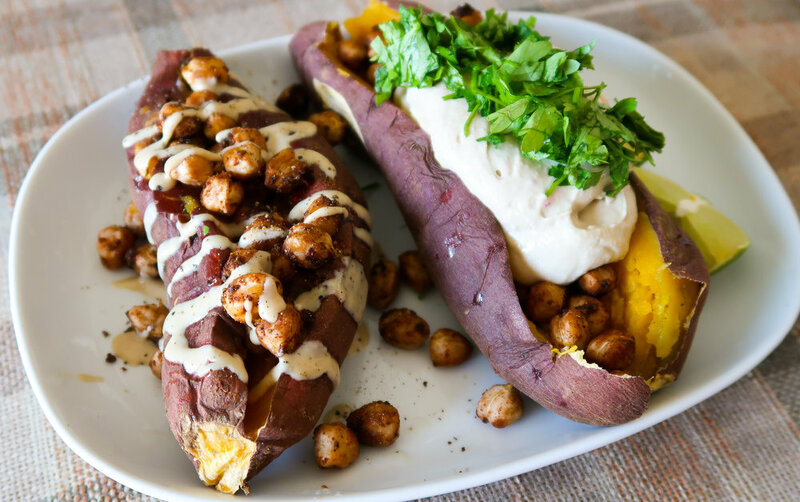 Let them cool then cut open the potatoes through the middle and stuff with the chickpeas, hummus, and parsley or just add the chickpeas and drizzle some tahini on top!